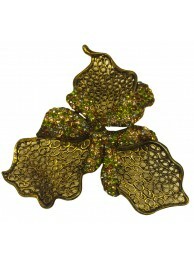 This elegant pin, features a long golden ribbon, adorned with shiny crystals. 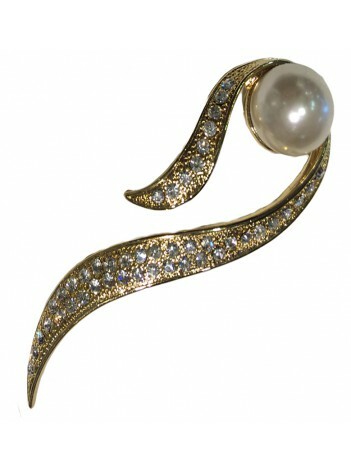 & as a final touch, this piece embraces a beautiful white pearl. 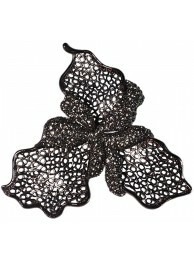 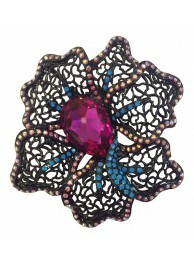 Promising you that it would rest smoothly on your breast-stone , this pin offers you fashion and comfort. 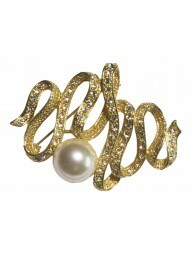 Also found in a golden ribbon and bronze pearl or a silver ribbon with silver pearl.